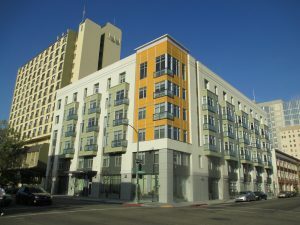 As a leader in publicly-subsidized senior housing, CCH has a large portfolio of U.S. Department of Housing and Urban Development’s commitment to senior housing programs, from Section 202 Supportive Housing for the Elderly, to Section 236, HOME, HUD-insured loans, and Project Based Section 8 Rental Assistance. CCH has become a leader in using HUD’s Preservation Incentives to maintain deep affordability at aging properties that are in need of a major rehabilitation. Additionally, CCH has been able to adapt to the regional funding environment by diversifying our portfolio of senior housing properties, Low-Income Housing Tax Credits, State Finance Agency programs, Affordable Housing Program Grants, and the tax exempt bonds. CCH has a strong track record of layering multiple funding programs together for acquisition, rehabilitation, and new construction of sustainable, deeply affordable, service-rich senior housing in California and other states, including Texas and Colorado. CCH recently was awarded the prestigious MetLife Award for Excellence in Affordable Housing for its Sierra Meadows property. This LEED Gold development was chosen based on the combination of its design and the resident-focused services that CCH provides. To date, CCH has never defaulted on a commitment or failed to complete a project on time and on budget. Since opening the doors to Garfield Park Village in 1964, CCH has developed 30 properties in three states, totaling over 2,390 homes for low-income seniors.